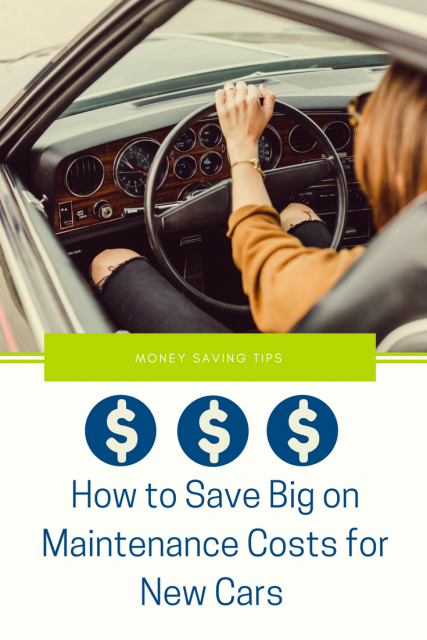 If you’ve already traded in your car for cash, chances are you’re thinking about using at least some of that money to purchase a new vehicle. Regardless of the make and model you choose, it’s important that you keep it well maintained so that your new car continues to perform at its full potential for years to come. The good news is that vehicle maintenance doesn’t have to cost an arm and a leg. Here at Cash For Cars, we have extensive experience across just about all aspects of the automotive industry – including car maintenance. From engine checks to regular waxes and everything in between, here are five key tips you can use to keep your new car in tip top shape without breaking the bank. The old adage ‘prevention is the best cure’ rings true when it comes to car maintenance. One of the best things you can do to preempt future issues that may require costly repairs is to carry out a regular engine check. This might sound a little daunting, particularly if you’re not familiar with a vehicle’s inner workings, but rest assured that even the least tech savvy car owners can perform a simple service. Once a month, pop the bonnet and check the levels of your engine oil, coolant, and transmission, power steering and brake fluids, topping them up as required. Not sure where to start? Refer to the owner’s manual; otherwise a quick Google search will provide you with everything you need to know. Driving safely not only minimises the risk of an accident, it could also help you keep vehicle maintenance costs low. How? Well, the faster you drive, the more pressure you put on your car’s components, and the sooner these parts will need to be repaired or replaced. For instance, some experts estimate that braking slowly instead of jamming on the brakes can help you save as much as $1,000 in brake pads over the duration of your car’s life. Slow and steady driving is also substantially better for your tyres and can do wonders for fuel efficiency. To sweeten the deal, many cars that are purchased new or from a reputable dealer come bundled with free servicing and/or repairs for a period of time from the date of purchase. Before carrying out any maintenance on your vehicle, double check to see if it’s still covered under one of these policies and be sure to take the car in to get the work done before the offers expire. Australia’s harsh climate can wreak havoc on your car’s paintwork, particularly if you park outside. While paint restoration is always a possibility, this is usually a costly process and can easily cost hundreds if not thousands of dollars. Thankfully, you can avoid this scenario with inexpensive car wax and some good old fashioned elbow grease. Every three months or so, give your vehicle a thorough waxing to keep your car looking sharp and protected from the elements. It goes without saying that vehicle insurance is critical for protecting you, your car and those around you from the risks of driving. However, there’s no denying that insurance can be a costly aspect of car ownership, particularly if you’re considered to be a high risk driver of have purchased a particularly powerful vehicle. However, there are some things you can to do alleviate these costs, with the most effective option being a simple insurance comparison. Shop around individual insurance providers for quotes, or use one of the many online comparison tools to find out how much you could save on your monthly insurance bill. You might be surprised by the results. Here at Cash For Cars, we’re proud to offer one of the premier car removal services in Perth and across Australia. We pay up to $6,000 for all sorts of makes and models, giving you the cash you need to fund other things in life, such as a new car purchase. Armed with the information in this blog, you’ll be better equipped to keep your new vehicle looking beautiful and performing at its best without splurging on expensive maintenance work. Want to turn your old car into cash? Contact us today to talk to our friendly team and find out more about our professional car removal services. ← How Does Recycling My Car Help Save the Planet?